What is A Good Tuba for a Student? "What is A Good Tuba for a Student?" It can be confusing trying to choose your first tuba as a student. There are established brands which are popular and have been for many years. There are more and more unknown brands which are extremely low in price and of equally low quality. If a brand new tuba costs 1/10th the price of an established brand, how good do you really think it is? Would you buy a new computer, cell phone, or car that cost 1/10th the price of a regular model and expect it to be just as good? Probably not. Junk at a bargain price is still junk. My tuba students play a variety of tuba brands, either by their own choice, by the recommendation of their school music program, or by my recommendation. The tuba brands listed here are not in any particular order, as "best" is really a matter of taste. All are good choices. I will say that I tend to recommend the Holton Collegiate BB450 for a smaller size tuba, and the Holton Collegiate BB460 for a larger size tuba. They both have an even tone and intonation throughout the range and are very affordable. It is always better to get a 4 valve tuba if you can. It adds more range and tuning options. Jupiter is a popular brand, but there have been many problems with their valves. This may have been improved by now, but I haven't seen it yet so I won't list them here. Holton, Yamaha, and Weril have a half-size tuba for beginners if you need something for younger students of a smaller size. The St. Petersburg 202 is a nice playing tuba for the money. 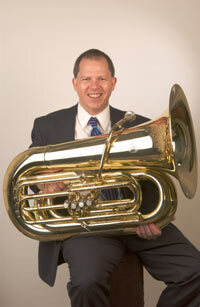 It is a good choice for students with a limited budget who want their own BBb tuba with 4 rotary valves. The Holton Collegiate BB460 is a good choice if you prefer 4 piston valves. You should be able to find all of these brands at your local music store, any of the big online music stores, or on Ebay®. If you use Ebay, make sure the valves and slides are described as working well. Look closely at the photos and email the seller if you have any questions, no matter how minor. The established brands may cost more, but you get what you pay for, as they say. For mouthpiece information, see What Is A Good Mouthpiece Size For A Tuba Student?